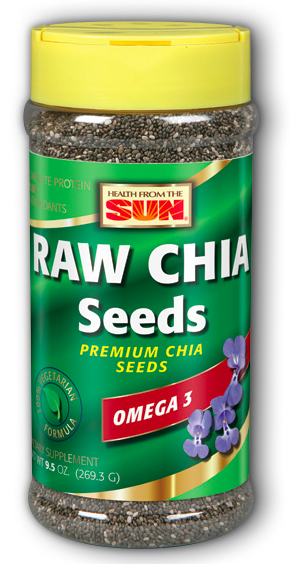 Chia is an ancient superfood, containing gluten-free fiber, heat-healthy omega-3, plant lignans and complete protein. Chia provides trace amounts of the following naturally-occurring essential minerals: calcium, iron, phosphorus, magnesium, and potassium. It has an ORAC value (antioxidant activity) comparable to fresh blueberries, on a gram for gram basis. 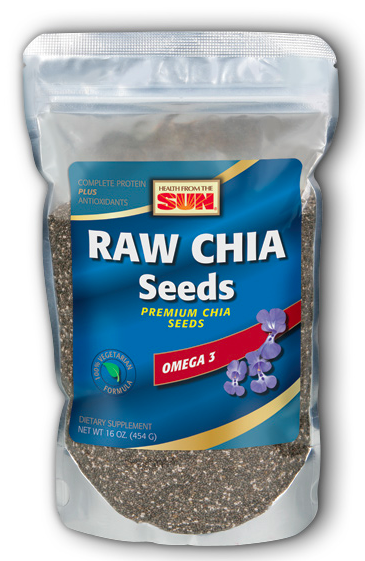 With its ability to absorb water, chia also promotes hydration and a feeling of satiety. Enjoy the light texture and mild flavor of Health From The Sun® Raw Chia Seed by sprinkling it on your favorite hot or cold foods, or stir into a beverage of your choice. Rigorously quality tested to guarantee purity, potency, and truth-in-labeling. Directions: Use only as directed. Take one tablespoon daily with liquid or mixed with food. Keep out of sunlight. Store in a cool, dry place.